It takes just 21 days to form a new habit. Why not give yourself 28? Get a fresh start to the year with @home and everything you need to de-clutter and detox your space and yourself. Follow our tips for a healthy space, body and mind and make healthy a habit. When you clear and declutter your space you will find room to think more clearly, make happier and healthier choices and most importantly, the space to just enjoy the feeling of being home. Spend some time over the next month clearing up some of the clutter in your home, see our blog post for extra tips here. 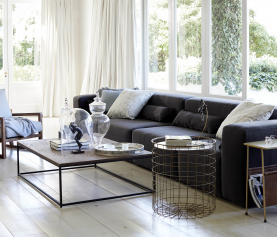 Plan each room with the right furniture and décor to give it the appearance of more space. 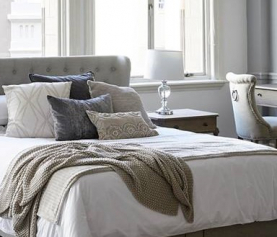 Follow these tips on styling a small space. Small changes make a big difference. 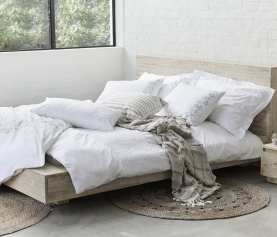 Why not clear out your linen cupboard and make your beds fresh with crisp, new linen. We have a full range of bedding for all tastes here. Make yourself a promise to start every day fresh and you will start to feel the difference this makes to your body and mindset in no time. 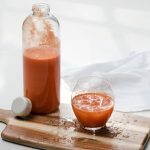 The easiest way to get in something fresh is with a fresh fruit or veg juice first thing in the morning or a nutrient packed smoothie of your choice. If you don’t already have one, a good quality juicer is something well worth investing in, for you and your family. Choose a juicer to suit your personal needs. 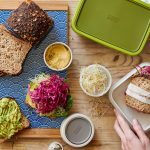 The DNA cold press juicer is a pretty serious juicer for someone who is serious about their health while the Breville Cold Fountain juicer is perfect for everyday juicing that is easy yet still packed with goodness. 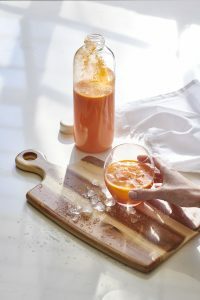 Kickstart your new healthy habit with this super fresh carrot, pineapple and turmeric juice. This year make a conscious decision to be more conscious in the choices you make. This means choosing products that are more sustainable for the environment and the communities that produce them, choosing a lifestyle that cares and protects rather than destroys, and choosing to a brand that has the same values as you. 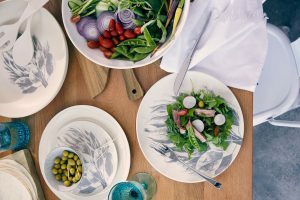 Did you know that you can now stock up on dinnerware made from bamboo, a sustainable alternative that looks super stylish too? Love local? 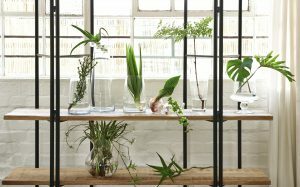 Choosing to buy products that are designed or made locally not only supports local businesses and helps communities to thrive but also adds extra flavour to your home. And we all know how vibrant our homegrown SA style is! More time for me-time? This doesn’t need to be just a distant dream. Over the next 28 days give yourself a block of designated me-time each day, whether it is a solo coffee while you plan your day or time to meditate and reflect at the end of the day. Make me-time a priority. Create your own meditation corner in your home, a place you can retreat to and unwind. Find a beautiful, comfy scatter cushion to sit on, and decorate with a few candles and some greenery for a more zen feel. Not into meditation? 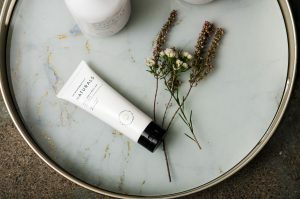 Relax body, and mind, with our bath and body care range and a daily, all-important pamper session. Think foot soaks (that doesn’t use lots of water), home manicure or an extra lie-in under the covers. Ready for the year ahead? How about just the next 28 days?